Let’s change how the world preserves it’s resources. One of the best ways to protect our natural resources is to be smart about recovering our man-made ones. Compaction solutions include flattening, shredding, and crushing. 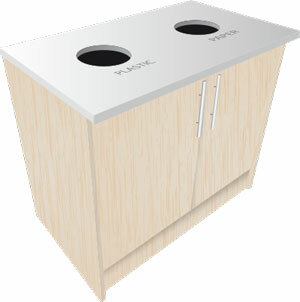 Installation can be free-standing, through the wall, on the road, or part of a full-service recycling center. Interactive and video screens available to promote products, advertisements. Loyalty card integration available, including coupons, video ads, and voucher verification. Machine wrapping and advertising available to promote brand/store loyalty. Collaborative solutions available to meet specific client requirements. This smart new way of encouraging people to recycle is sparking a lot of interest – and for a good reason. All parties win – the environment, sponsors, locations and the public, who receive an incentive for recycling in the form of a retail voucher. Load shedding is a serious problem for many of us, but the solutions are very often unaffordable. This could be a simple and effective solution to help keep the power up. These machines are used in campaignes to encourage the recycling of all kinds of light bulbs (especially bulbs containing toxic mercury) and issue vouchers in return specifically for power-saving bulbs. These machines can be used for many different kinds of recycling projects, so if you have different requirements, give us a call and we’ll assist you.